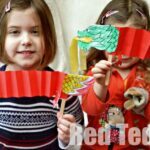 Looking for things to make for Chinese New Year? Well we haven’t shared a Toilet Paper roll craft in aaaages and yet I “hail myself the TP Roll Crafts queen”. Tut tut. So here is a little blast from the past – Red Ted maybe 2.5yrs ago! Wow, he is so little. 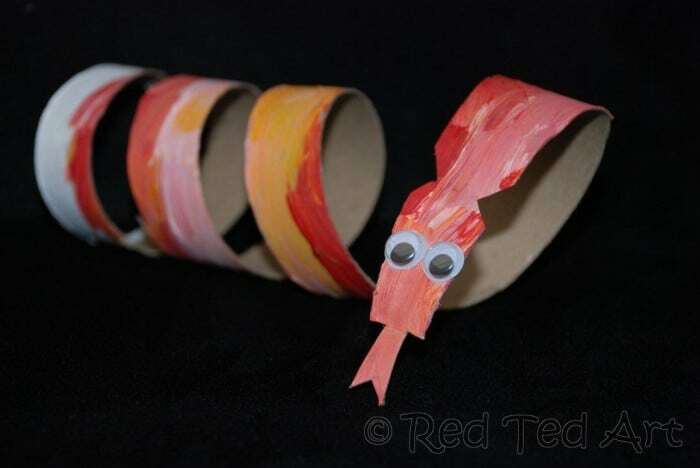 We are making a red snake – perfect to share with you for Chinese New Year’s which will be the Year of the Snake! This year the Chinese New Year falls on Sunday February 10th 2013. 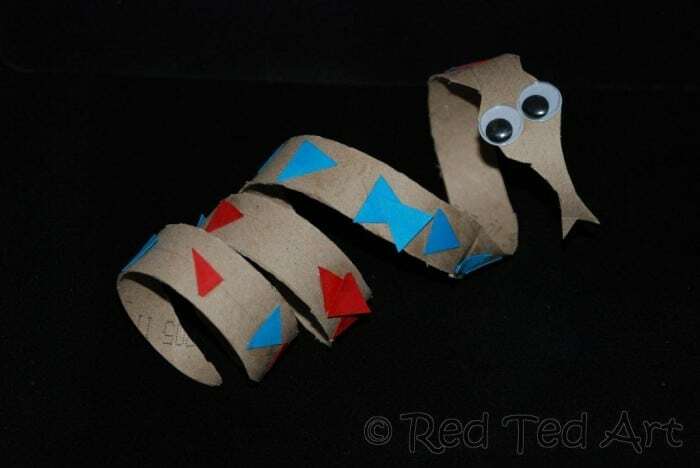 The snake craft is super simple! Hopefully you will like it too! 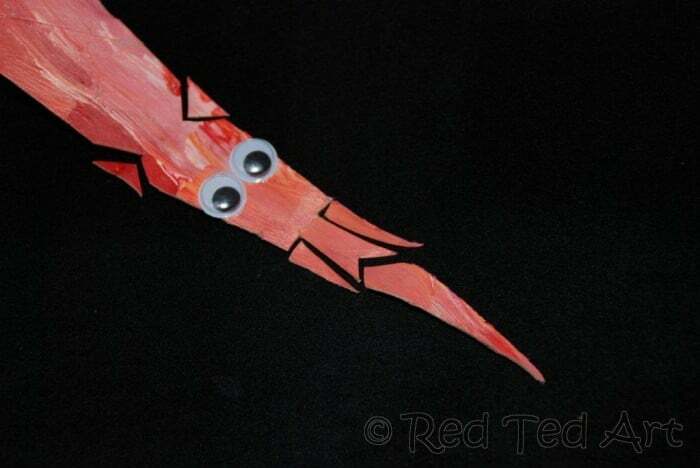 Materials: Loo roll, (red) paint, scissors, googly eyes (optional), glue. 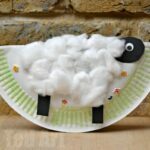 Instead of paint (or as well as) you can also use paper shapes you have cut out or bought, glitter glue, stickers, whatever you have lying around the house! 1. 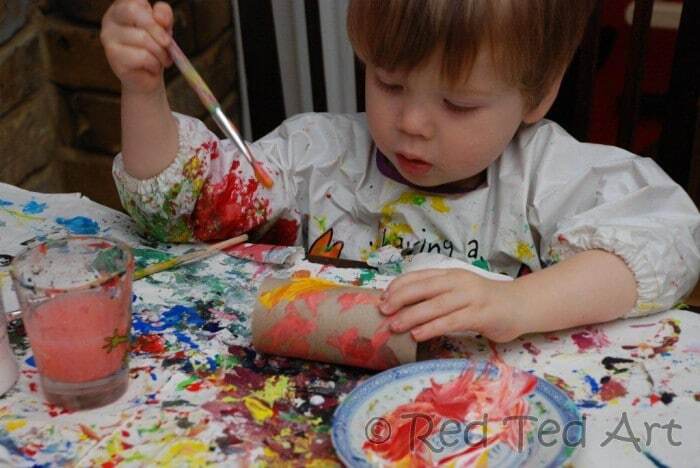 Paint your loo roll. Our snake is a little multi coloured. 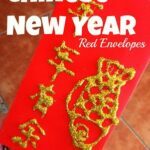 Make it red and you have an auspicious colour for the Chines new year! If you do horizontal stripes (unlike our loo rolls in the photos), you will get a stripy snake. 2. 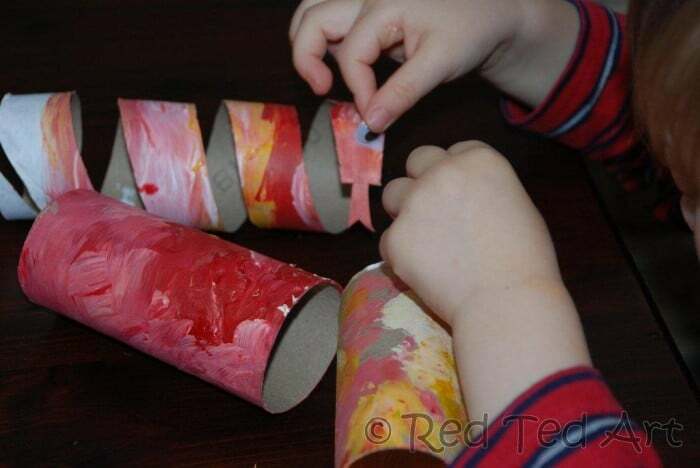 Using a small pair of scissors start cutting diagonally into the roll cutting a spiral all the way round. We made a paint version at home and a sticky shape version at playgroup (pictured below) where there isn’t time for the paint to dry. So these really are very versatile and can be enjoyed by different age groups. 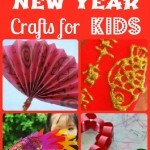 Enjoy your Chinese New Year Crafting! 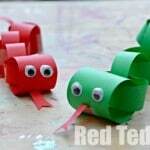 Hope you like our auspicious snake craft! This is sooooo cute! What a great idea! Awe thanks Deborah! So pleased you like it! LOVE it! Will do with Brucey, my three-year-old grandson. He likes colorfull snakes. Very fun! We’ll have to try with the youngers. Cutest snake I have seen! I love this craft. 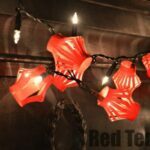 Perfect for the year of the snake. 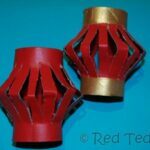 I’m doing a round-up of my favorite Chinese New Year crafts on my blog and would love to feature this one. Sound good to you – with attribution and a link back to your site of course.